The Zorutti farmhouses. This is the birth place of Pietro Zorutti, the most famous Friulian poet.
" 27 dicembre del 1792 / qui aperse gli occhi alla luce del suo Friuli / del quale tutta sentì e ridisse la poesia ". 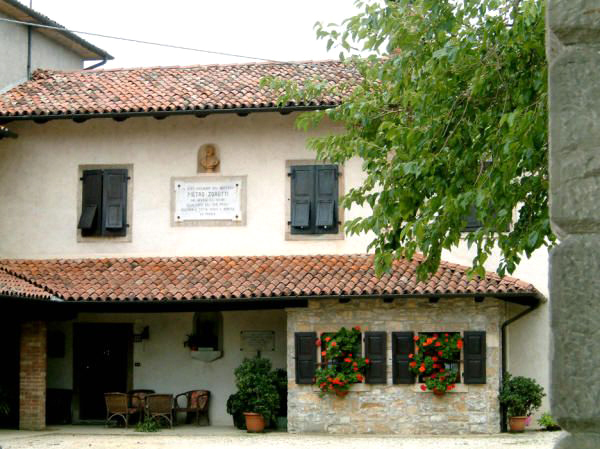 (On 27th December 1792 here was given birth the poet who felt and told the world the poetry of his native Friuli).